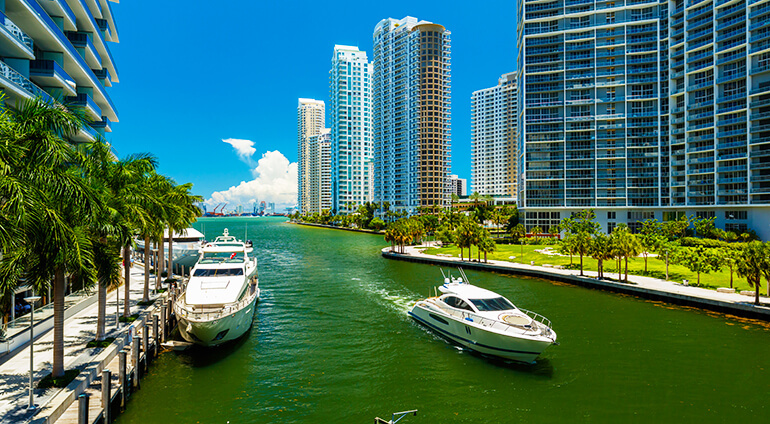 The best way to get around Miami is by car. You might want to hire a car so that you can see all the different parts of the city easily. There are lots of cars in the city and a lot of tourists choose to drive. Taxis are also an option, but it is best to pre book as it isn’t always possible to grab one on the street depending on where you are. A fun way to get around is on Segways and golf carts which can be hired for set periods. You can also easily rent a bike and enjoy a cycle along the stunning seafront. There are public buses, but they don’t reach all parts of the city. Another good way to get around is to use the Metro Rail.